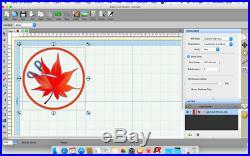 Easy Cut Studio – vinyl cutting software, Sign cutting software, vinyl plotter software. Easy Cut Studio description. It is a leading professional sign design and vinyl cutting software specifically created to be compatible with your vinyl cutter and cutting plotter. The state-of-the-art sign making software offers full control over editing and cutting your artworks. Easy Cut Studio is a simple yet powerful cutting software not only it allows you to cut TrueType and OpenType fonts installed in the computer, but you can also import vector graphics in various formats (such as SVG, PDF, EPS, AI, WPC). You may then edit or cut the graphics. Not just that, there is also the feature of image tracing utility which allows automatic conversion of images into cuttable vector graphics SVG file. 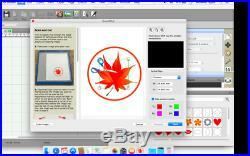 You may even create your own shape with the suite of powerful drawing tools that comes with the software. The software has a built-in library which features hundreds of preset shapes and available fonts for your design needs. In addition, Easy Cut Studio provides a range of advanced features such as welding shapes together, Contour cutting Print and Cut, work with layers, rhinestone creation, creating shadow mats, applying various effects (3D Rotate, Bulge, Canned, Lattice, Rhinestones, Shadow Layer, Title Crawl, Wave, Wrapper) to the design, text to path, Boolean Operations, Node editing tools, Convert text to outlines, support for break and split, real-time laser cutting previews, and many other amazing features that will make your work with your vinyl cutter and artwork faster, easier and more efficient. Supported Brands of Vinyl Cutters. More than 500 +. 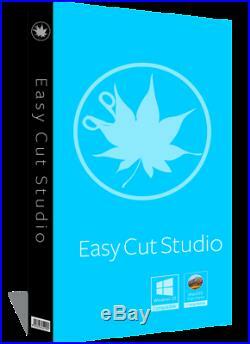 Features of Easy Cut Studio. Works with your installed TrueType and OpenType fonts. Drawing tools to draw and edit shapes. 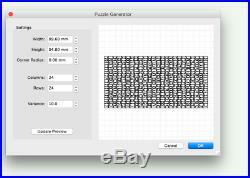 Works with thousands of free TrueType Fonts including Dingbat/Wingding Fonts. 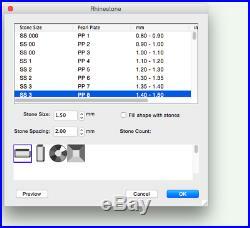 Import various file formats, including SVG, PDF, EPS, AI, WPC (PRO Version can also import PLT, DXF). Weld overlapping letters and shapes together. Select styles, including Shadow and Blackout, to change the look of your letters and shapes with just a few clicks. 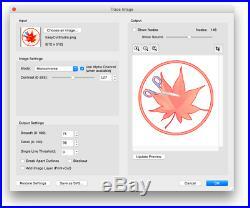 Auto tracing feature to automatically convert images (including jpg, bmp, gif, png) for cutting. Save your design layouts, so you can save and share your designs. Includes over 200 built in shapes, with many more available through the eshape store. 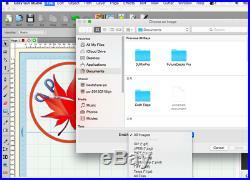 WYSIWYG Interface – What you see is what you cut. Availble for Windows and macOS. Create rhinestone templates & Lattice shapes. The item “Easy Cut Studio Vinyl Cutting Software for USCutter, Roland, Graphtec, GCC” is in sale since Sunday, April 7, 2019. This item is in the category “Business & Industrial\Printing & Graphic Arts\Plotters & Wide Format Printers”. The seller is “xlfa51191″ and is located in California. This item can be shipped worldwide. Operating System: Windows XP or later; Mac OS X 10.6.8 or later.